asknet AG (ISIN: DE000A2E3707), the Germany-listed e-commerce services company signed today an investment agreement with 5EL SA (ISIN: CH0006326851), the Swiss-listed digital commerce firm with competences in content production, digital marketing and blockchain technology. 5EL SA paid €2,442,152 to acquire 51.37% ownership interest in asknet AG. The transaction was done through a combination of a capital increase and the buyout of a group of large shareholders of asknet AG. 5EL SA paid €8.33 per share for the shares acquired from the existing shareholders and €9.20 per share for the shares acquired through the capital increase. The capital increase amounted to 10% of the share capital of asknet AG corresponding to 50,942 newly issued shares and resulted in net proceeds of € 468.666. The new 5EL SA (which includes asknet AG as a consolidated subsidiary) will be a fully integrated, technology-driven e-commerce and e-procurement services, digital marketing and blockchain technology company focused on supporting academic and corporate clients with the rollout, operation and expansion of their digital business. The executive leadership teams of 5EL SA and asknet AG will remain in place, while the supervisory board of asknet AG will be replaced with a new board that will include Joern Matuszewski, replacement member of asknet AG’s existing supervisory board before the transaction. “We are excited to match 5EL capabilities in digital marketing and technology to provide turnkey, innovative and cost-efficient e-commerce solutions for our customers,” commented Tobias Kaulfuss, the Chief Executive Officer of asknet AG. “The capital inflow received through this transaction and 5EL's declaration to make further investments will enable us to invest in new promising products and services that have already been identified in both business units and to significantly accelerate our change process,” Mr. Kaulfuss added. “Along with the new capital, 5EL as a strategic investor will provide asknet with digital marketing and content production competences through The Native AG, its wholly owned subsidiary, as well as access to cutting edge blockchain technology and machine learning applications. 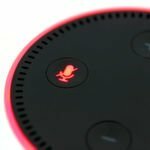 Our objective is to leverage The Native and asknet’s complementarity to create a diversified, fully integrated and global service group able to offer best-in-class e-commerce services to our existing and new customers,” commented Izabela Depczyk, the Chief Executive Officer of The Native AG and member of the executive board of 5EL SA. As a next step of the transaction, and subject to further conditions, asknet AG intends to issue a convertible bond with a nominal amount of at least EUR 1,500,000 (convertible into the asknet’s newly issued shares from the restricted capital 2016 at no less than €8.00 per share), of which the subscription would be guaranteed by 5EL SA but open to all of asknet AG’s shareholders. In case of 5EL SA being the majority or significant underwriter of the bond, and subsequent conversion of the bond into asknet AG shares, the ownership interest of 5EL SA in asknet AG would consequently increase further. In addition to sharing corporate resources between the two companies, 5EL and asknet envision significant synergies through cross-selling, increasing average revenue per client thanks to the expanded value proposition, and from a mutual use of existing operations in Switzerland, the US, Germany and Japan. “While we need more time to quantify the full effect of synergies between the two organizations, it is already clear that we will see a very positive impact of 5EL’s investment on asknet’s balance sheet and of the strategic partnership with 5EL on asknet’s P&L,” commented Mr. Serge Umansky, the Chairman of 5EL SA. 5EL SA is the Lausanne based and Swiss listed digital commerce firm with competences in content production, digital marketing and blockchain technology. 5EL SA invests in, owns and operates a highly synergetic portfolio of businesses benefiting from accelerated development of Internet as we know it now, into Internet of Everything, where people, organizations, companies, machines and devices communicated in a decentralized manner creating previously unimaginable efficiencies in life and business. Through its wholly owned subsidiary The Native AG, 5EL is active in digital content, online marketing and advertising space and other applications of disruptive digital technologies in traditional industries. Side by side with online marketing business, the Company is targeting acquisition and development of innovative e-commerce solutions catering to the needs of modern consumers and businesses. An important recent structural development at 5EL has been an establishment of the new business unit named Blockchain Lab. Under this unit the Company is consolidating its initiatives in the areas of the transformational new technologies and business models with a specific focus on decentralization, disintermediation and automation of commercial and organizational processes. asknet Group is an innovative supplier of e-business technologies and solutions for the global distribution and management of digital and physical goods. Founded in 1995 as a spin-off of the Karlsruhe Institute of Technology (KIT), the company is a pioneer of modern e-commerce with over 20 years' experience in the field. 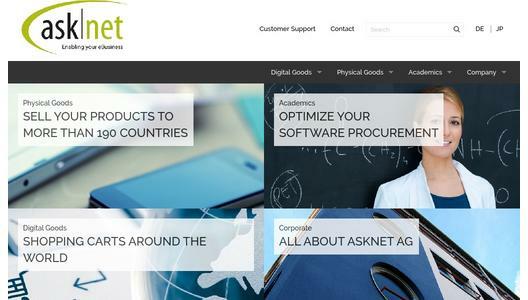 asknet's eCommerce Solutions Business Unit (previously Digital Goods and Physical Goods Business Unit) enables international manufacturers to successfully market their products in over 190 countries. The core product, asknet eCommerce Suite, covers the complete sales process and is suitable for manufacturers of both digital and physical goods. In addition, the company offers stand-alone services and solutions along the value chain. asknet's Academics Business Unit assists customers from the research and education sector in purchasing and managing software and hardware. Thanks to its close relations with over 80% of Germany's universities and research institutions, asknet is intimately familiar with their needs and requirements and can offer them specific solutions. For more information, visit www.asknet.com.